Initiated in 2010, the European Semester was initially a cycle of economic and fiscal policy coordination within the European Union (EU). Nine years later, the adoption of the European Pillar of Social Rights has put social policies back on the EU agenda and has led the Semester to include national social reforms in its process. The European Semester is becoming an essential driver for social changes and reforms in Europe. MHE would like to support its membership as well as partners and stakeholders in getting involved in the European Semester process, which might seem a bit complex to navigate. We want to help you understand how to work with it, and explain to what extent it is relevant to mental health. European Elections 2019: Did you know that thousands of Europeans will not be able to vote because of their disability? 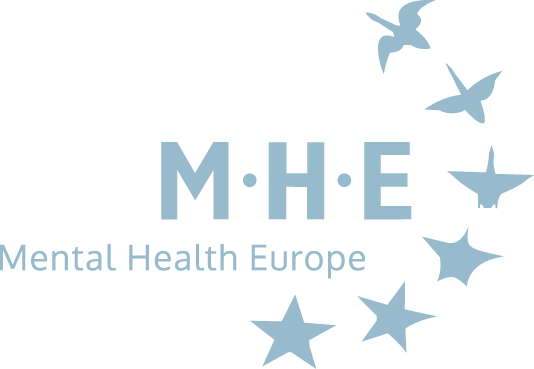 Two months away from the European Elections, Mental Health Europe (MHE) launches a video on the right to vote and urges EU states to follow the UN Convention on the Rights of Persons with Disabilities (UN CRPD) and ensure people with psychosocial disabilities have equal recognition before the law, including being able to exercise their equal democratic rights. Between 23 and 26 May, hundreds of millions of Europeans will head to the polls to elect the next members of the European Parliament. This is the only time where Europeans get to the polls all together. Sadly, around 500,000 persons with disabilities – including psychosocial disabilities – will not be able to vote like everyone else because they are deprived of their legal capacity. Legal capacity is an inherent right that everybody has: It is the formal ability to hold and to exercise rights and duties. In most EU Member States, being deprived of your legal capacity means losing your right to vote. 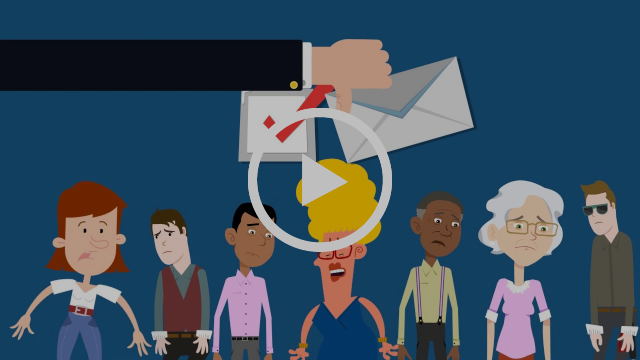 MHE proudly releases today its latest video about the right to participation in political and public life which explains in simple terms the right to vote for people with psychosocial disabilities and how it can be supported by EU States. “Our video shows that casting a ballot and having your voice heard is an empowering experience that cannot be denied to people with psychosocial disabilities. The right to vote is at the heart of democracy and citizenship and denying it amounts to saying to people experiencing mental ill health that they are second-class citizens: this is not acceptable” says MHE Director Claudia Marinetti. Research by MHE, published last year in the report “Mapping and Understanding Exclusion in Europe”, found that hundreds of thousands of people in Europe with mental health problems live under full guardianship – a form of substitute decision-making where a person is deprived by law of their legal capacity and, in some instances, their right to vote. A recent EU Agency for Fundamental Rights (FRA) report confirms these findings and highlights that 18 EU Member States still prevent people deprived of legal capacity from voting in the European parliament elections. The report however shows that things are steadily improving in realising the right to vote for all, with some partial and complete legal reforms being made in some EU countries. Belgium, Czech Republic, Croatia, Denmark, Spain and Slovakia have either softened or removed restrictions on the right to vote in the European parliament elections for people deprived of legal capacity. In Germany, the Federal Constitutional Court recently ruled it is unconstitutional to prevent people under full guardianship and criminal offenders placed in a psychiatric hospital to vote.France recently announced an upcoming reform of measures on guardianship which would extend voting rights to thousands of people. MHE now calls for remaining EU States to reform outdated laws and realise the right to vote for all, without exception. Reforms should also allow measures to support people with psychosocial disabilities in the exercise of their rights, such as lifting legal and administrative barriers to political participation; increasing awareness of the right to political participation of persons with disabilities; making voting procedures, facilities and election materials more accessible; expanding opportunities for participation in political life. Last Friday Taoiseach Leo Varadkar took time on his 40th birthday to visit DCU in the Community. John and Martha got to speak to him about the work of the recovery college, how coproduction is aiming to readdress the power imbalance in mental health services and how when the community come together and shed roles in a neutral educational space and become students it can be a powerful experience.